The American Go Go Thomas! DVD has been confirmed for availability in the March of 2013. Containing the same episodes as the UK's, the release date was revealed by DVDEmpire.com. Since then, Lionsgate Publicity's press release has revealed a total of four extras to feature. 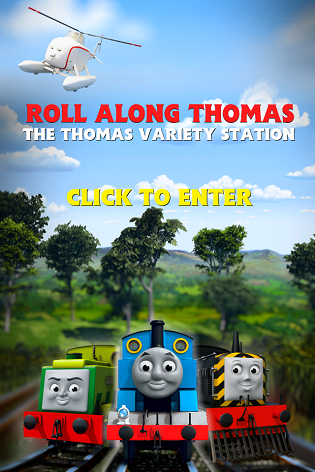 The description reads; Thomas and his friends are charged up and ready to Go, Go! Thomas shows Gordon that being quick is as useful as being strong, while Flynn the fire engine learns to put his pride aside and race to the rescue. Thomas causes some trouble on the tracks trying to be a model engine for a new photographer, while Spencer's on the move, ignoring warnings about electric engine Stafford's battery. Thomas pumps his pistons to Misty Island to help fix Ol' Wheezy. Will the number one blue engine be on track and on time? Ready, Set Go, Go Thomas! Go Go Thomas! from Lionsgate Entertainment hits US DVD shelves on March 5th 2013. Thanks to Duckfan and MrTrainfan1000 for the alerts.